Have you been considering cremation as an alternative to traditional burial, but just can’t picture what your funeral would look like if you go that route? Cremation is an affordable alternative to traditional burial, but some people are concerned that they wouldn’t have quite the same ability to have a proper funeral if they chose cremation. This couldn’t be further from the truth, and you actually have a bit more flexibility when you go the cremation route. Here are some tips from our funeral home in Brooklyn on how many options you have when you choose cremation. You can choose embalming or not. Embalming is the process of preparing the body for viewing by using chemicals that delay decomposition. When you plan to do direct cremation of a body, embalming isn’t necessary. However, if you also want to have an open-casket memorial service, you can still have the embalming done, rent a casket for viewing, and then let the remains be cremated afterward. This can bring you the best of both worlds, giving everyone the chance to say their last goodbye while still ending up being both less expensive and more environmentally friendly than a traditional burial. You can hold funeral services before or after the cremation. When you go the route of cremation, you have the flexible option of when to hold the service for all your friends and relatives. More and more often, with people scattered far and wide, relatives and friends may have to come from great distances in order to attend a service, and it’s harder and harder to drop everything and make travel arrangements at the last minute. You might determine, for instance, that it’s best for everyone involved to schedule the service a month after the death. In a case like this, you could choose direct cremation and it would already be done by the time you have the service. On the other hand, it might only be possible for everyone to be there immediately after the death takes place. In that case, you could hold the memorial service in the first few days and then have the remains cremated afterward. 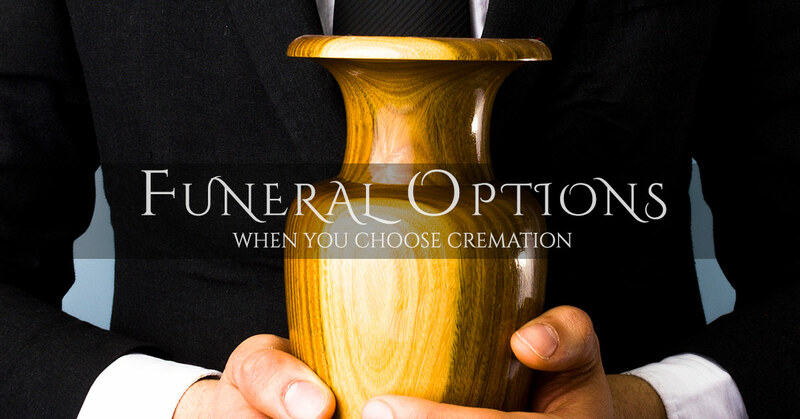 The flexibility of your options when you do cremation is a thing that can help you to coordinate something that the maximum number of relatives can attend. You can choose to scatter the ashes or keep them in the urn. With traditional burial, there is only one geographic location where the remains of your loved one will stay permanently. If you move, you’ll no longer be able to visit the gravesite as frequently as you used to. With cremation, you can bring the urn with you no matter how far away or how often you move. You also have the option of scattering the ashes in the place that was the most meaningful to your loved one, rather than interring them in a cemetery plot. We can’t eliminate the pain and suffering of losing your loved one, but we can help with the practical arrangements, whether you choose cremation or traditional burial. For cremation and funeral services in Brooklyn, please contact Harmony Funeral Home.